Our world famous, most sought after product just got even better! i Black2 is a revolutionary black bronzing formula for the tanner who craves it all Deep penetrating black onyx bronzers impart rich dark color, for longer lasting, never before seen results Added NouritanTM Technology will help to break through your tanning plateau achieving the darkest results possible New Biodynes and Advanced Matrixyl Synthe 6TM will work to fight free radial damage as well as the formation of wrinkles. 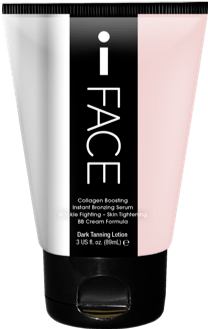 Added cellulite fighting, skin firming and anti-aging benefits work overtime to keep your bronzed skin looking healthy and youthful Don’t settle for anything less than the best, demand i Black2.